Synopsis: Okamura Hiiro is introverted and loves books. To him, books are his raison d'etre. His story starts with the usual gimmick of summoning of heroes. Five people summoned, but one of them is just an outsider dragged in accidentally, that person is Hiiro. The four others are his classmates, but it's not like they are friends. Unlike him, they are riajuus. Hiiro decided not to help the country, his reason? "I don't believe you. I'm not friends with them. It's not my business, and I'm an ordinary person who cares for my own life, so bye," and he sets for his own journey. Little does others know, that this ordinary person, Hiiro, actually hides a power which could change the world! I gave an up-vote, but It is probably best for you to talk about this series in your own words and/ or try to convince people they want this series licensed. Bookworm Okamura Hiiro, summoned to another world with 4 other classmates who are all heroes but he himself only having the title "Innocent Bystander," decides to let them save the world and leaves on a journey to find exotic books and food. He discovers that he has the unique ability "Word Magic," which lets him write with magic to produce an effect based on that word. As he meets the inhabitants of this other world and travels around the continent, he learns more about the political situation surrounding the 3 races and discovers that the heroes were summoned for a much more sinister purpose. It's a fun story, Hiiro gives everyone he meets a blunt, descriptive nickname (e.g. "akaloli" = red loli) since he can't be bothered to remember their names, and his powers have to be used in creative ways to get strong combat effects. He's also an interesting protagonist since he just kind of does whatever he wants and makes everyone else deal with the aftermath, which frustrates nobles and royalty. That said, he's also very smart and usually knows more about what's going on than he leads others to believe he does. Basically, his arrogance and frankness are at least partially on purpose in order to lead others to give reactions in line with his predictions. There's a pretty varied and interesting secondary/supporting cast too. 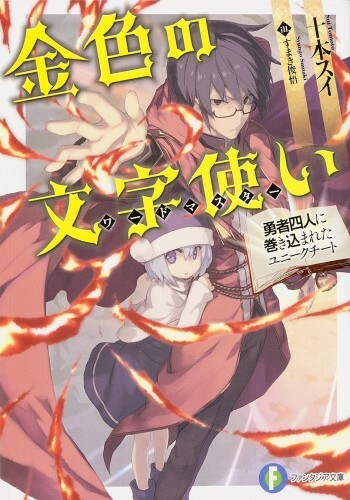 The LN adds an entire arc (probably LN book 2?) with a new character over the WN; the manga adaptation includes this arc. The WN later reconciles by referencing this arc, but I'm sure WN-only readers got mildly confused when they got to that part. I became a fan when I first read the WN, so I would really look forward to the LN. Hiiro’s character is a refresher when I’ve always been seeing different world novel series with the usual stereotypes or similar protagonists, become a hero, defeat the demon king, make harem, etc. I've been waiting forever to read this series, and I hate to leave this series halfway unread. The main series is finished, it has 3 side-stories volumes, or "gaiden", and another side-story focusing on one of the characters. Enjoying the manga online, but still want to read the LN. A series i half forgot about. Fairly simple story of a guy who is summoned to another world alongside his classmates, and gets asked to save the world. He refuses, and they let him go because he doesn't have the "hero" title, just "bystander". Goes on a world tour, with his unique power to alter reality through written words.